DACA Recipient Sues U.S. Government After He Is Detained By Immigration Authorities : The Two-Way Daniel Ramirez Medina was arrested despite registering under the Deferred Action for Childhood Arrivals, or DACA, program. He has sued the U.S. government for violating his constitutional rights. Daniel Ramirez Medina, 23, registered with the government under the Deferred Action for Childhood Arrivals, or DACA, program. He is suing the government after being arrested by U.S. Immigration and Customs Enforcement agents. A 23-year-old man who was detained by Immigration and Customs Enforcement Agents in Seattle on Feb. 10 says his constitutional rights have been violated, and he is suing the U.S. government for his release. 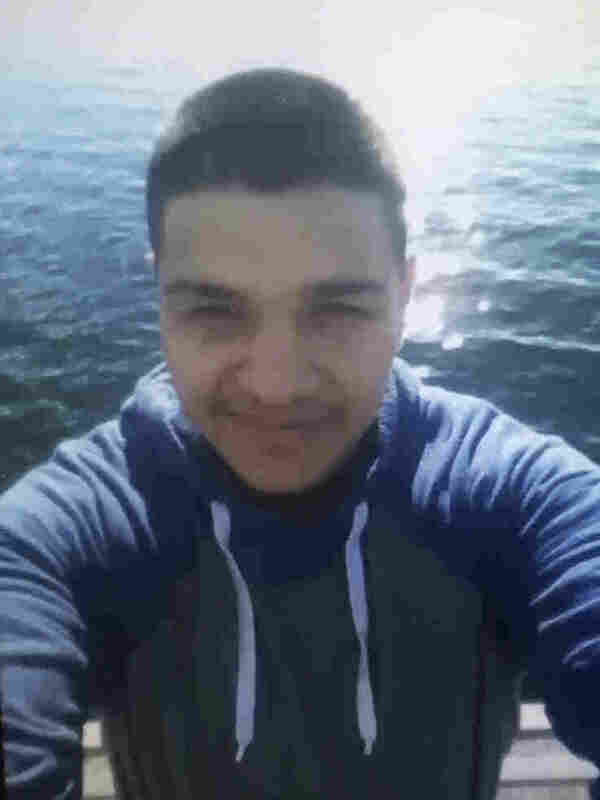 Daniel Ramirez Medina, who is currently being held by immigration authorities in Tacoma, Wash., is registered with the U.S. government under the Deferred Action for Childhood Arrivals, or DACA, program. His appears to be the first arrest by ICE of a DACA recipient. A federal judge in Seattle has scheduled a hearing in the case for Friday. According to court documents, Ramirez was born in Mexico and brought to the U.S. when he was about 7 years old. In 2014, Ramirez was approved to stay in the U.S. under DACA. He paid a fee to register with the government, underwent an extensive background check and was granted a work permit. On May 5, 2016, his DACA status was renewed a second time. The renewal stated, "Unless terminated, this decision to defer removal action will remain in effect for 2 years from the date of this notice." Ramirez's lawsuit against the Department of Homeland Security, of which ICE is a part, was filed on Monday. The complaint alleges Ramirez was asleep at his father's home in Seattle when agents arrived with an arrest warrant for the father. "The ICE agents then took Mr. Ramirez to a processing center in Seattle, Washington. When he again informed them about his work permit, one of the ICE agents stated: 'It doesn't matter, because you weren't born in this country.' At this point, the ICE agents had Mr. Ramirez's wallet, which contained his work permit, which clearly identified him as a DACA recipient with a 'C-33' code, which reflects a work authorization issued pursuant to DACA. Despite this fact, Mr. Ramirez was questioned further, fingerprinted, booked, and taken to a detention center in Tacoma, Washington." Attorneys for Ramirez, whose own child is an American citizen, claim his detention without probable cause violates his Fourth and Fifth Amendment rights. ICE spokeswoman Rose Richeson said Ramirez is a "self-admitted gang member," NPR's Hansi Lo Wang reported. One of Ramirez's attorneys, Ethan Dettmer, said his client "unequivocally denies," that assertion. "While in custody, he was repeatedly pressured by U.S. Immigration and Customs Enforcement agents to falsely admit gang affiliation. The statement issued tonight by U.S. Immigration and Customs Enforcement is not accurate," Dettmer said. The court complaint also addresses the seeming failure of a stopgap measure — a 24/7 law enforcement hotline that DACA recipients are instructed to call if they find themselves incorrectly detained by immigration authorities, as the U.S. Citizenship and Immigration Services website explains. But "when Mr. Ramirez's counsel called the hotline, he was provided no assistance in remedying the mistake that had been made by the arresting ICE agents," the complaint states. Ramirez's arrest comes three weeks after President Trump signed an order regarding the enforcement of immigration laws inside the country. Advocates for DACA recipients say they would be troubled if data collected by the Obama administration through the program could now be used to deport people. Asked about that possibility on NPR's All Things Considered, another member of Ramirez's legal defense team, attorney Mark Rosenbaum, said he was "not concerned today, because there's nothing in terms of a change in law [now]." "My hope is that ICE and federal government say the truth, which is that a mistake was made here," Rosenbaum said.